RJFC sticker # 63 was completed on 12/2/15 while sitting at Starbucks in Safety Harbor. It’s collaged trash on a CD label measuring about 120mm across. 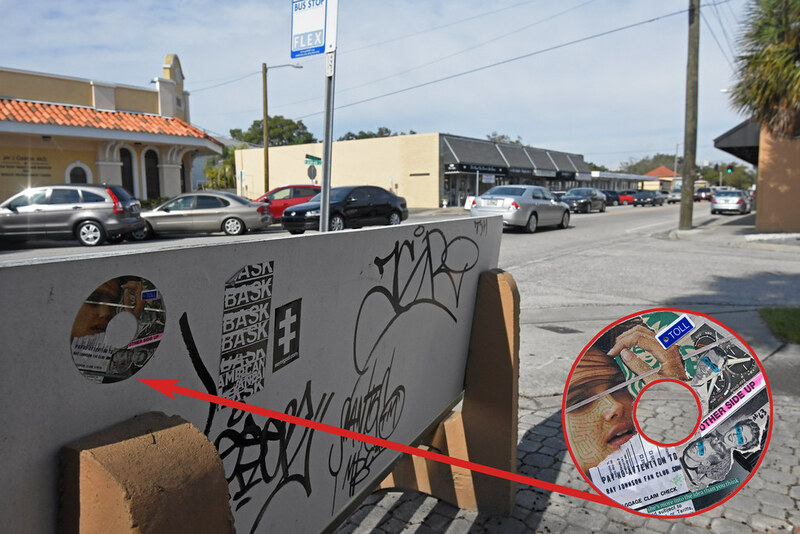 This sticker was stuck to the back of a bus stop bench on 1/9/16 just near the Cass Contemporary art gallery on South MacDill Ave & West Granada Street.